Welcome to Bubblin' Brook Farm situated in beautiful picturesque Lancaster County Pennsylvania. We are pleased to own and raise Dorpers, one of the finest breeds of Sheep. We have some of the top genetics in the Dorper breed coming from farms such as Blue Egg, Broadmead, Riverwood, Wilson Ranch, and others, including bloodlines from South Africa. All our sheep are registered full blood or purebred. Shedding. We were initially attracted to Dorpers since they shed and do not require shearing.The high cost of shearing and low price on wool makes shedding a very appealing option. Growth Rate. Dorpers are also known for their rapid weight gain i.e. 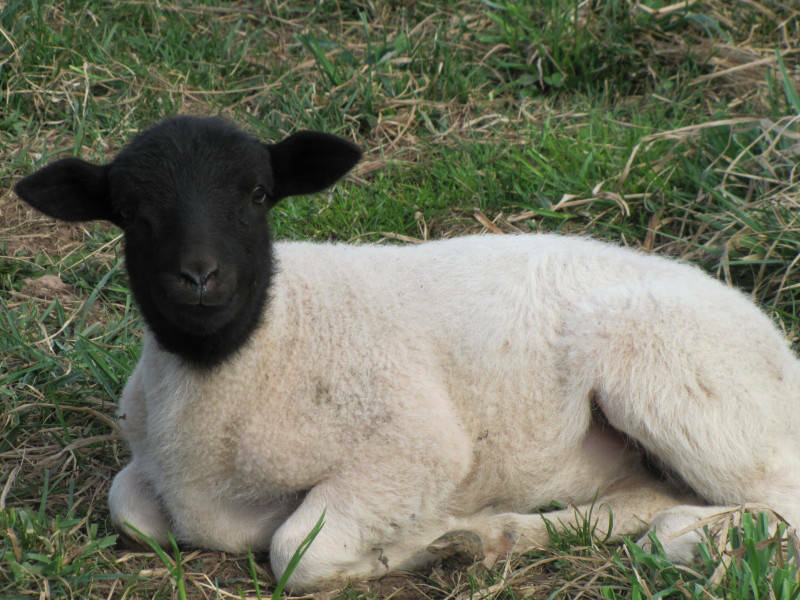 maximum pounds of lamb in a minimum amount of time. With decent conditions Dorper lambs grow quickly, reaching 70 pounds in as little as 12 weeks, with a little grain. Reproduction. We also enjoy the fact that they do not usually require help with lambing. The lambs are hardy and vigorous making less work for you. 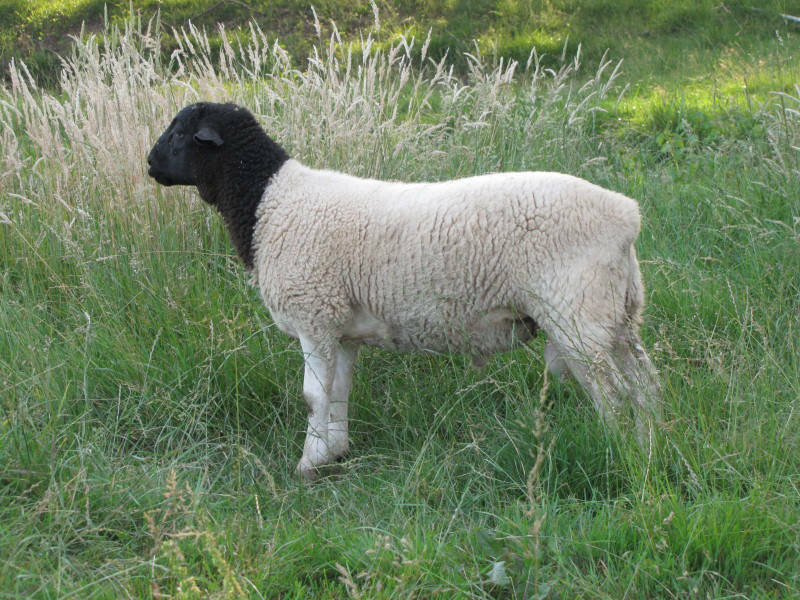 Dorper rams mature rapidly and can be used for breeding as early as 5 months. We have done this with our ram and haven't noticed any adverse affects. 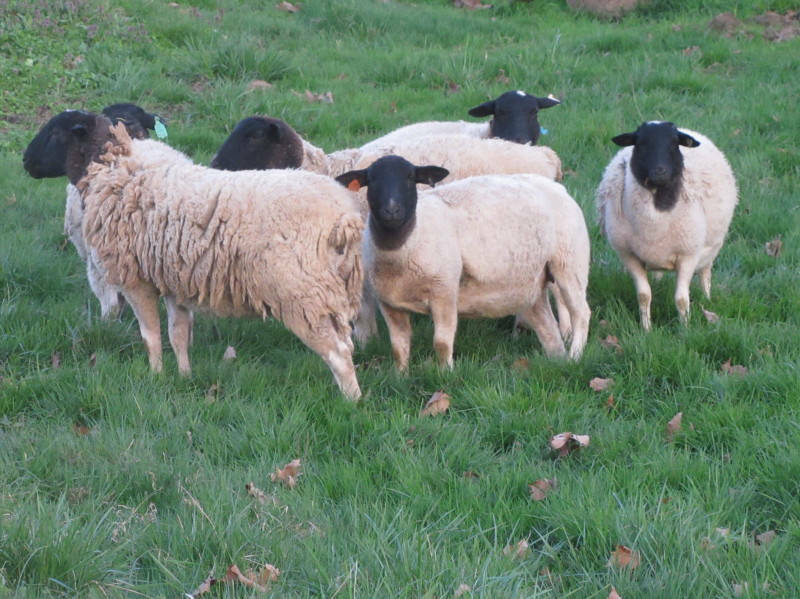 We begin to breed our ewes at around seven months of age, and breed on a year round basis. This gives you the flexibility to time your lambs to meet your needs and the markets needs. Lamb crops can usually be obtained from Dorper sheep every seven months and a lambing percentage of 150% can frequently be obtained. We raise sheep that maintain their weight, breed year round and will do well in rugged conditions. Given a reasonable environment Dorper ewes commonly continue breeding to 8-10 years of age. Versatility.Our sheep are not raised in a feed lot. 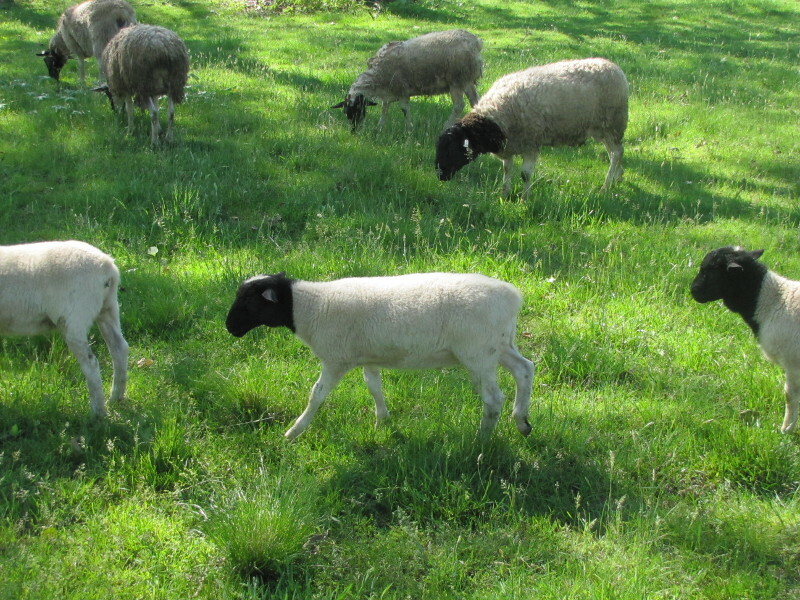 both ewes and lambs are good browsers and grazers and an underweight ewe is uncommon. We have found that little grain is needed even while nursing lambs if good forage is provided. We give only a bit of feed to keep them used to us. Healthy. The dorper is a tough animal without many problems with disease and a lot of the problems that come with wool are eliminated. Dermatosporaxis has not been found in the dorper. It has occasionally occurred in white dorpers, but it appears to have been largely eliminated with the aggressive testing program implemented by ADSBS. Because of these traits Dorpers are our breed of choice. Our focus here at Bubblin Brook Farm is to continue building on these traits.